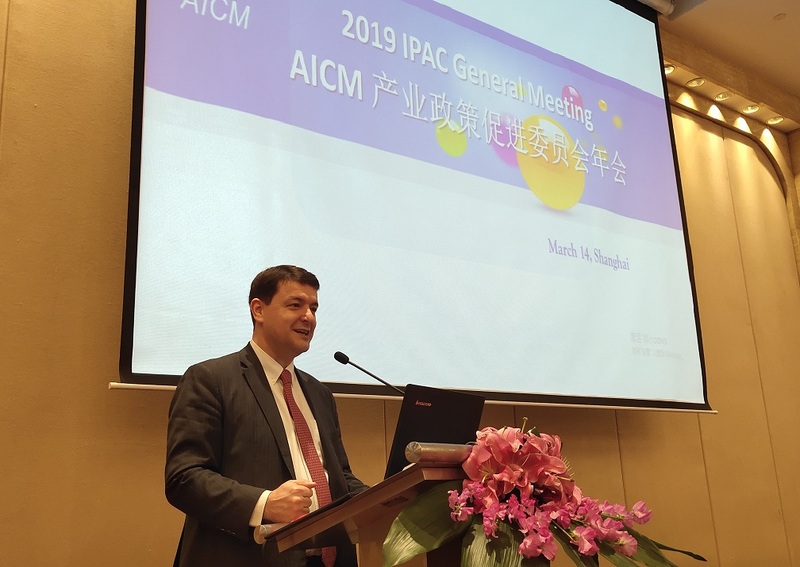 On March 14th, 2019, AICM hosted IPAC General Meeting in Shanghai. Ms. Beryl MA, AICM Executive Director, briefed the antitrust code and chaired the morning session. 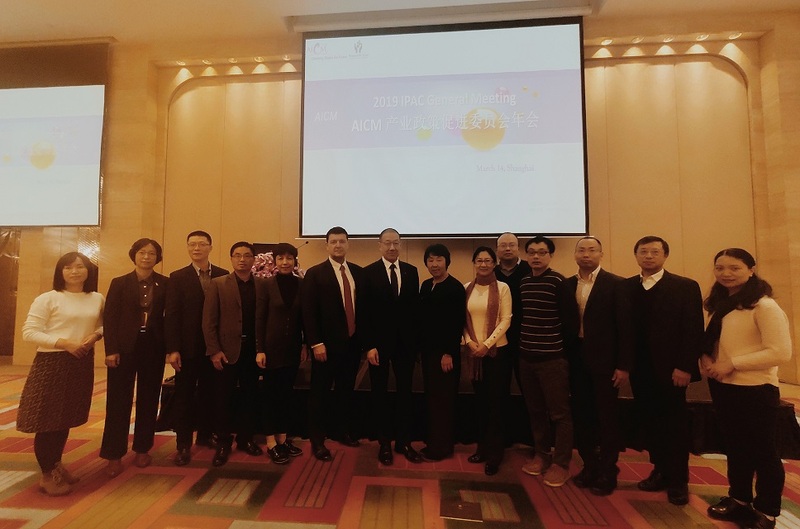 AICM Board Directors, Mr. Mingcheng Chien （President of Asia Pacific Region） and Mr. Fernando Vallina (Lead Country Manager – China) attended the meeting and gave the speeches. 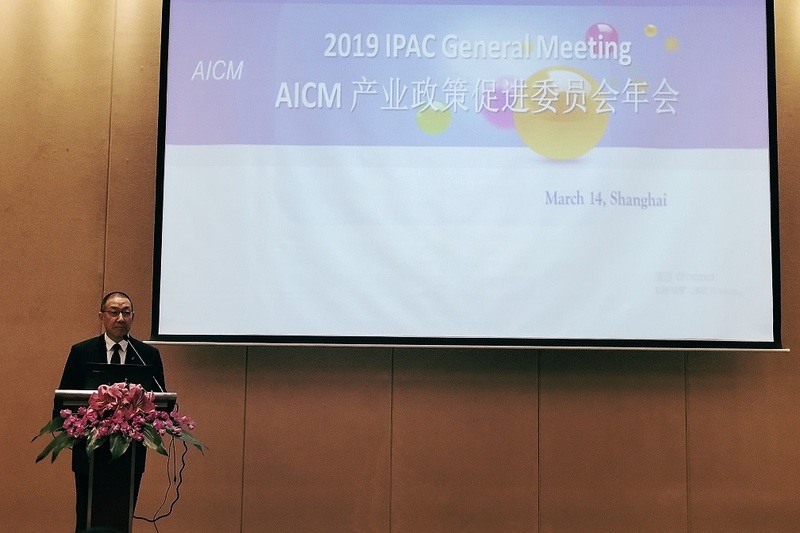 Mr. Chien indicated that with high involvement of member participation (>90%) in IPAC activities led by IPAC's leadership, IPAC's core value were well acknowledged by the board and member companies. 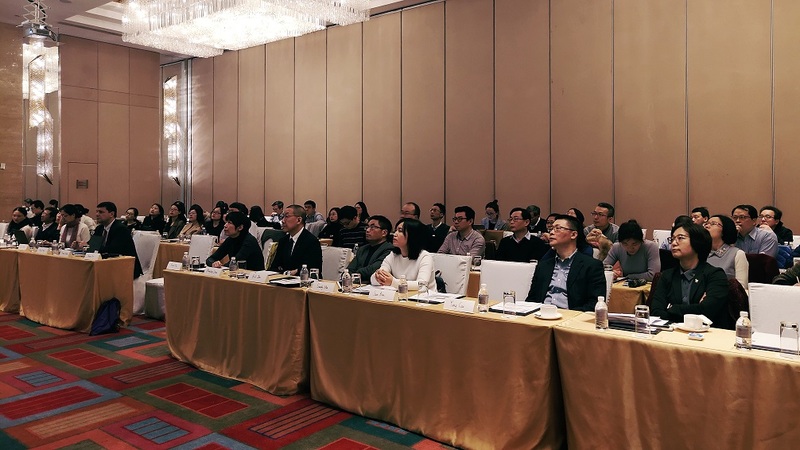 It fully addressed members' common interest, emerging issues and specific concerns on chemical management. The Influence power and global visibility in field of food contact materials were enhanced. It also caught up with new issues at plastics, etc. Extensive dialogues were channeled through the platform with policy makers in 2018. The priorities were settled on those subjects with highest impact to members and upon member's needs. Ms. Karin XU, IPAC Chair, made committee's report to all participants. Upon board approval, IPAC adjusted structure upon review of member's needs, regulatory development and advocacy priorities in 2019. Subsequently, sub-committee chairs of Regional Regulatory Exchange Platform, Hazardous Chemical Safety Management, Environmental Management of Chemical Substances, Site HSE, Food Safety, Performance Chemicals, Life Sciences summarized achievements in 2018 and reported work priorities in 2019 and gave overview on the regulatory development on health, safety and environment, chemical management and industrial chemical applications. 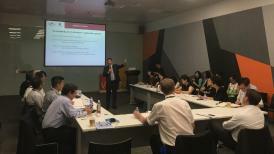 IPAC Deputy Chair Mr. Bill ZHOU chaired the afternoon session and gave closing speech accordingly. With co-efforts of all team leaders at sub-Committees and members, we obtained global awareness through regional outreach and supports to advocacy work to national authorities. IPAC is on the way of channeling the scientific and risk-based dialogues at committee and each subject.